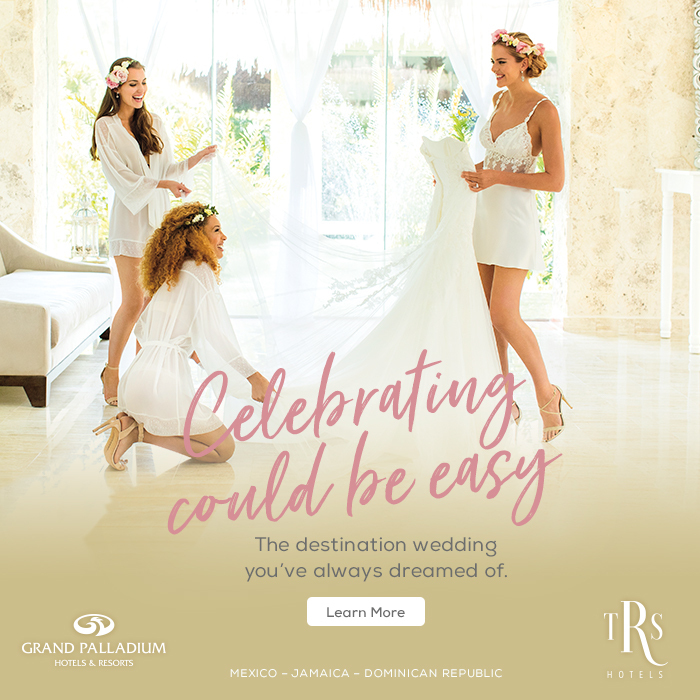 Although a destination wedding meant limiting their guest list, friends and family were supportive and – knowing the couple - expected a destination wedding. With the bride’s guests coming in from Florida and the groom’s guests traveling from Texas, two potential hiccups they solved together were the 2 hours and 30 minutes of travel between the airport and resort and their friends not getting to know one another. Crystal and Steve were able to cover everyone’s airport-to-hotel travel expenses by renting buses stocked with beer and food to transport their guests in groups. 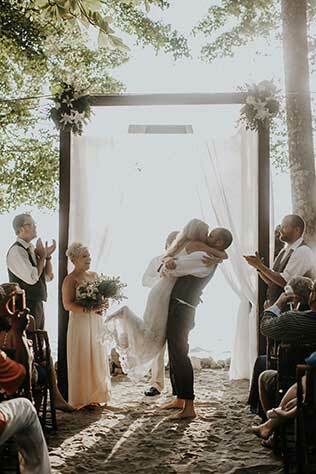 “By the time the groups [arrived] at the resort, people were already making friends,” the newlyweds said. Not every part of the wedding planning went over easily. The bride and groom had to compromise on their date: “The only issue we had was that Costa Rica’s rainy season is during the summer, which is when we wanted to get married,” Crystal said. 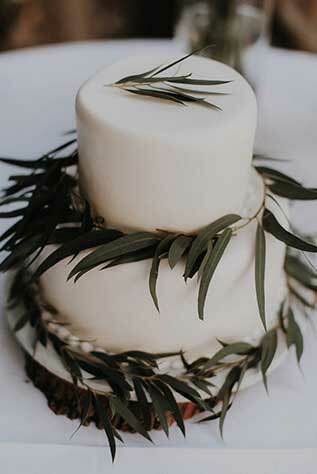 “We just changed our date to the spring and were good to go!” Any other hitches were handled by their wedding planner, Meaghan Cody of Sweet Pea Events. 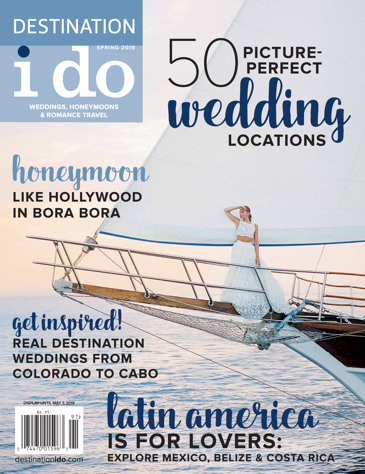 As far as finances were concerned, the couple said they would have spent the same if they hadn’t had a destination wedding – the only differences would have been more guests and potentially feeling pressure to have a religious ceremony. Limiting their guest list and having the ceremony they wanted did mean being able to do one thing: splurge. “The level of luxury we were able to experience for the price, the culture, the memories and having our two groups of friends truly bond over four days was incredible,” the newlyweds said. For such a unique location and wedding, they were overjoyed to have the four days to match versus what they would have had if they had gone the traditional route. 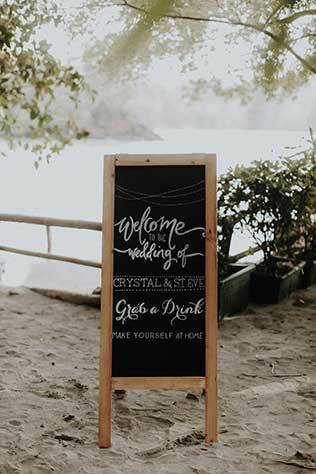 Crystal credited her wedding planner for relieving a lot of stress over decisions and planning. “I can’t stress enough how important having a wedding planner is,” she said. Her advice for soon-to-be brides choosing a planner is to “hire someone who is organized that you trust and get along with.” The bride and groom also had a way to make the planning process something to look forward to: “Steve and I would go out for brunch and mimosas after every wedding-related meeting,” Crystal said.